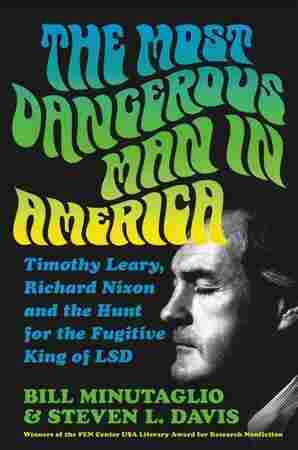 Nixon's Manhunt For The High Priest Of LSD In 'The Most Dangerous Man In America' Author Bill Minutaglio's new book chronicles Timothy Leary's international escape from a California prison and the president's campaign to make him the poster child for his war on drugs. 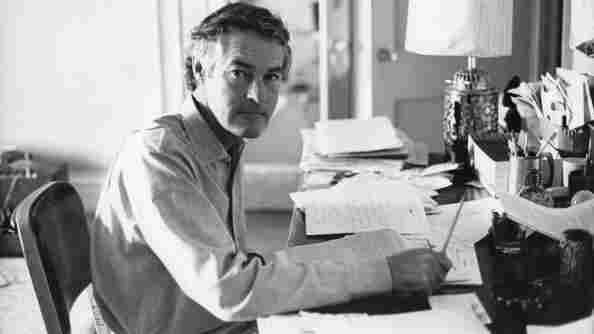 Dr. Timothy Leary, an advocate for LSD, working at his desk. In the early 1970s, with a countercultural revolution in full swing, an unlikely figure became the No. 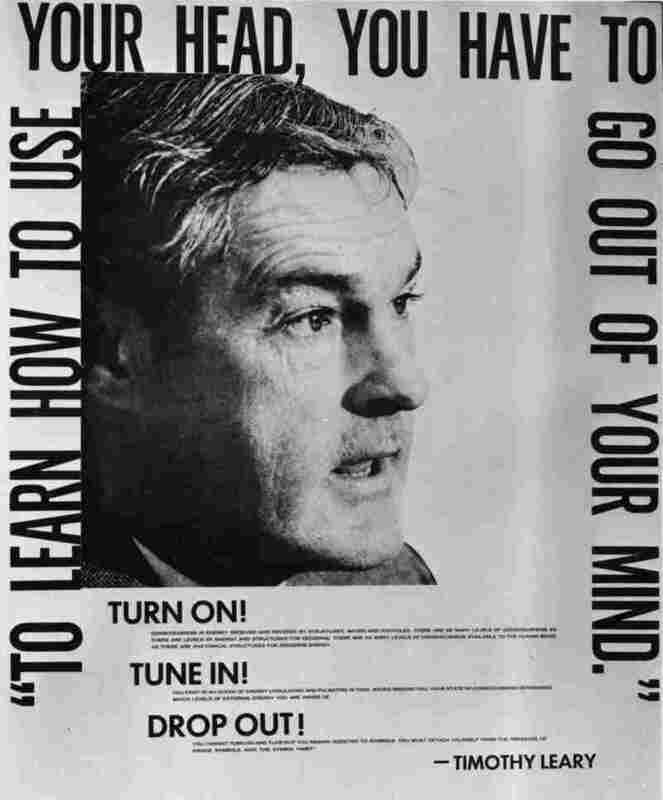 1 enemy of the state — Timothy Leary, the so called "High Priest of LSD." Leary was a former Harvard psychologist who left the ivory tower behind to spread the gospel of psychedelics. After breaking out of a California prison, he went on the run, sparking a madcap manhunt for a bumbling fugitive. Steven L. Davis and Bill Minutaglio's new book asks whether Leary really was "the most dangerous man in America," as President Richard Nixon claimed. The story follows Leary as he hops from country to country, trying to stay one step ahead of the Nixon administration. "He's kind of, you know, a Mr. Magoo on acid, if you will," Minutaglio says. "He's just tripping his way through life, and circumstances happen. He opens one door and then plummets nine stories but somehow or other lands on a trampoline and goes to another floor." He's a 50-year-old, middle-aged guy, not in the greatest shape in the world, and he manages to escape from a pretty strong security prison in California by dangling over a wire — a telephone wire — and pulling himself out of the prison that many others tried to escape from. He gets picked up by underground activists; he puts on a disguise that allows him to escape the country, including using fake passports; and then embeds himself in the most unlikely way with extremely scary, dangerous, tending-toward-violence, members of the Black Panther Party who are living in exile in Algeria, of all places. ... He escapes to Europe and then suddenly turns into this other sort of wild, living-above-the-cloud-line, European aristocrat experience, where he's hanging out with Andy Warhol, royalty. ... Allen Ginsberg shows up for a split second. 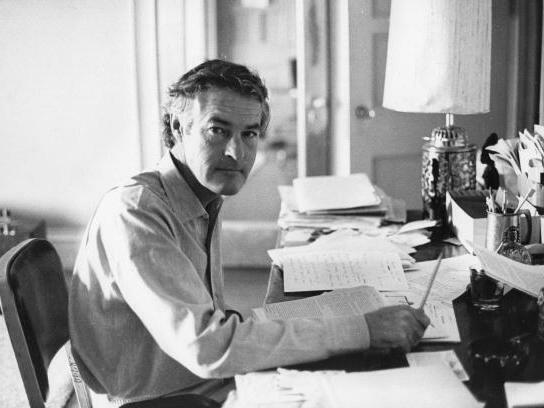 His life was — you know, in our acknowledgements in the book, the first line says, "We'd like to thank Timothy Leary for leading a very interesting life." On why Nixon viewed Leary as the "most dangerous man in America"
You know, a lot of people had called Nixon that, so maybe he was doing some diversionary politics there. Nixon needed a poster child — someone to vilify in his burgeoning war on drugs. But it really was a matter of misdirection. The war in Vietnam was still raging, and there was a lot of violence and aggressive activism on the streets of the country. And we stumbled across, in doing some research, a tape where Nixon at the White House with many of his infamous colleagues — a lot of the Watergate-era folks — had gathered around and said, "You know what? To salvage your approval ratings, to misdirect attention away from this flagging war in Vietnam, a stagnant economy, your swooning poll numbers, we need to find a villain, a guy in a black hat, and why not choose Timothy Leary? He's sort of the godfather of the countercultural revolution. And we can make him public enemy No. 1." The other thing that was working in the background was that Nixon really was convinced that there was something going on out there — there was a disturbance in The Shire, to steal a line from The Lord Of The Rings. I guess that makes him Sauron. But he was looking out from the tower and he saw revolution in the streets. Things were unhinged; the social fabric was unraveling. And I think he wanted to find, again, you know, somebody symbolically whom he could kind of pin all of this on and essentially identify him as not only a drug kingpin but the leader of, sort of, the domestic terrorist movement. Leary, almost as a joke, had run for the governor's office in California. And that was an early warning, kind of missile system attack in some ways, against Nixon and Reagan. They were going, "What is happening?" People were getting interested and beginning to think about voting for him. And yeah, his campaign slogan was, you know, "Why can't we come together? Why don't we rally together?" And he was friends with John Lennon, and John Lennon said, "Well, let me help you out with a campaign song. Let me sketch out something called 'Come Together.' " You know, it was really based on Timothy Leary's life and campaign. I met him in the early 1980s when we had a very robust discussion in a dark bar in Houston that lasted for several hours, as far as I could remember. And he told me then that he just couldn't figure out really what had happened to him, but he was one of these people that I think just enjoyed uncertainty, if that makes sense. He really embraced the next adventure, and maybe that's part of, not to get too deep into my theories on the use of LSD, but I think that's why he advocated its use and proselytized about it. He considered it a sacrament at the end of the day; really, you know, a tool for spiritual discovery. And I think it just led to other portals, other doors, and I know that's beginning to sound like I'm proselytizing as well. But he didn't know what had happened to him, but I think he sort of expected it because he embraced uncertainty and assumed that whatever came next would be really unusual. So the book ends in some way with a nod to the fact that Leary had wanted to have his ashes blasted into outer space, which in fact did happen. I like the fact that when they were blasted into outer space, his ashes were commingled with the ashes of Gene Roddenberry, the inventor of Star Trek. And then when the capsule that was holding his ashes disintegrated, Timothy Leary's ashes filtered all over the planet. And I think that was his last kind of cosmic joke and also, in a way, his sense of continuing adventure — you know, little pieces of him were far-flung and cast to the wind. I don't know that he had the full grasp and understanding that Richard Nixon had essentially put a poster of Timothy Leary up on the wall of the Oval Office and was tracking him like a hellhound around the world. I think even he would have been mildly surprised at the depth and the cunning to which Nixon, you know, applied that effort. Noah Caldwell and Jolie Myers produced and edited this interview for broadcast. Sydnee Monday and Patrick Jarenwattananon adapted it for the Web. A previous version of this story misspelled Allen Ginsberg's last name as Ginsburg.